Oftentimes, men come to yoga later in their lives, when they begin to experience physical problems, or reach a point where they are looking for a practice that will help them to de-stress and provide a holistic alternative to traditional physical exercise. The stresses of modern life seem to be accelerating, however, more and more for younger men, too. Overload seems to come from nearly every front—work, home, personal relations, and even the sometimes bewildering choice of leisure activities. The increasing possibilities afforded by modern conveniences and technology are leading some men to feel overwhelmed at increasingly younger ages. Yoga can be a perfect practice for men in their 20s and 30s. In addition to empowering younger men to better manage stress, yoga can help them to maintain muscle strength and flexibility, while keeping the fullest range of motion in their joints. It can help to improve circulation, promote proper functioning of the internal organs, and help to steady the nerves. If you are in your 20s or 30s, are in good health, and wish to begin a more vigorous type of yoga practice, you might consider some of the more active approaches to yoga, such as Ashtanga Yoga, Bikram's Yoga, or Viniyoga, for instance. Perhaps of even greater importance, yoga can help men in their 20s and 30s to lay a solid foundation for a lifetime of vibrant health. While many younger men are drawn to yoga for the physical benefits of its hatha yoga exercises, the practices of meditation and yogic breathing can lay the foundation for a smooth transition into the later phases of life. Yoga can help younger men develop healthy ways of coping with stress and caring for the body internally as well as externally—giving them a leg up on the challenges they will face throughout the rest of their lives. 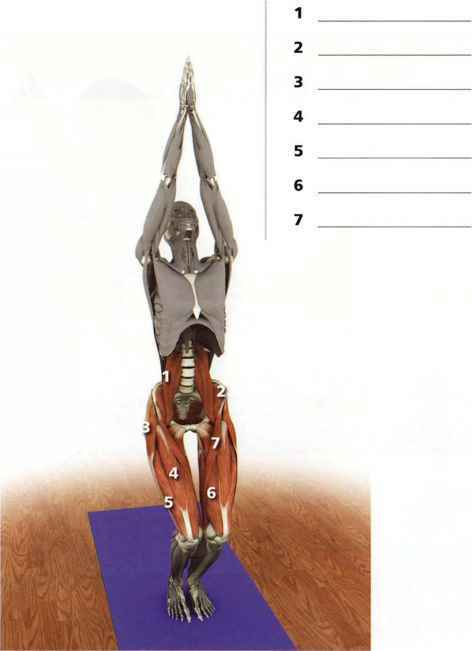 Yoga can be a perfect complement to other physical exercise activities (see Chapter 12). The younger man can incorporate yoga into an all-around physical maintenance regimen, which could include not only yoga, but also other favored sports. Yoga can help to prepare a man's body for the physical demands of other activities while helping it to recover after physical activity. Frequently, as a man begins to practice yoga, he finds that his awareness about not only his physical body, but all aspects of his being, becomes sharper. He begins to lead a healthier lifestyle—not because he is forcing himself to, but just because it "feels right." This subtle and spontaneous aspect of yoga is one of its best-kept secrets. If you start practicing yoga at an early age, you may well find yourself engaging in a more expanded yoga lifestyle—a lifestyle that will help guide you through the rest of your life. So if you're in your 20s and 30s, start your yoga practice as early as possible: Lay the seeds for not only a present but also a future of healthy, stress-free living. You'll be glad you did.